U.S. Drought Monitor has more than 98 percent of Texas in some abnormally dry condition. More than 98 percent of Texas is in some level of abnormal dryness as spring arrives, conditions that could set drought records and lead to severe water restrictions in some regions of the state. Some parts of the state could break drought records set over a seven-year stretch in the 1950s -- a dry spell so severe all water planning in Texas is based on those conditions. 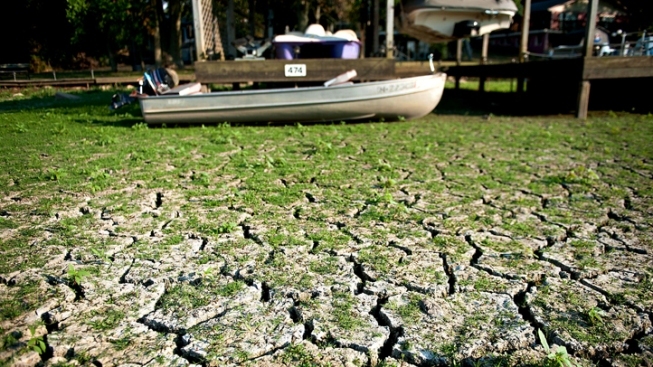 "Officially, we're still in the same drought since 2011," Nielsen-Gammon said. "There's never been a time when even half the state has been out of drought so this is the third year of drought, and if it lasts through the summer, it will be the second worst drought on record." Meteorologists, including Nielsen-Gammon, say outlooks show below normal rainfall during the spring -- generally the rainy season for chunks of the state -- and warm temperatures through the summer.